When speaking about the subject of railroad "firsts" different states can lay claim depending on the topic in question. For instance, Massachusetts carries the title as the first to host any railroad when the Granite Railway began operations in 1826 to move granite from a quarry at Quincy to a dock on the Neponset River at Milton. On the other hand, Pennsylvania is where the first steam locomotive operated when the Delaware & Hudson Canal Company tested the 0-4-0 Stoubridge Lion on August 8, 1829. Then there is the Baltimore & Ohio, America's first common-carrier, chartered on February 28, 1827 to serve Baltimore and the state of Maryland. 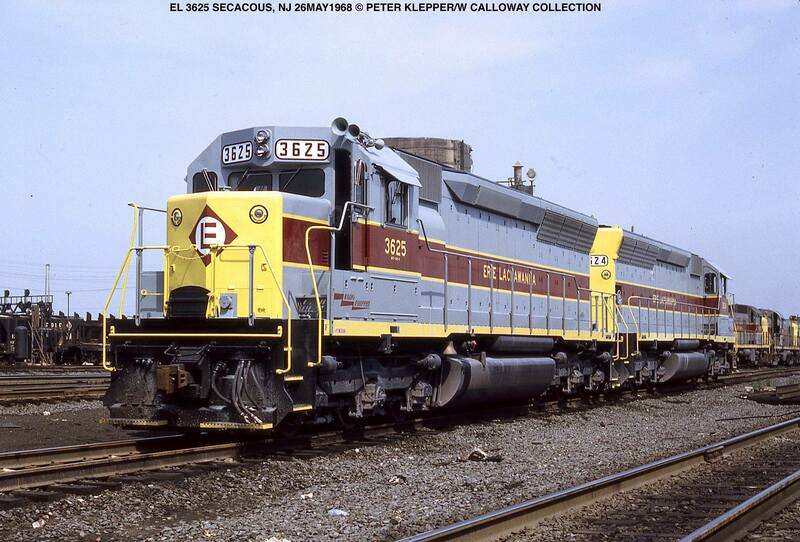 Finally, the first railroad ever chartered in the country was Colonel John Stevens' New Jersey Railroad Company of 1815, although it was not actually constructed until 1832 (a later component of the Pennsylvania Railroad). Railroads in each state can be as varied in the traffic they generate as the topography in which they operate. In this section we will look at the states and their individual histories ranging from earliest railroad to present-day services (if any). The growth of railroads in America is thanks in large part to the East Coast's preeminent port cities of the early 19th century; Baltimore, Philadelphia, Boston, and New York. After England's Stockton & Darlington opened in 1825 the technology soon found its way across the Atlantic. However, during the 1820's canals were all the rage, seen as the future of efficient, high-speed transportation. The state of New York had spent a great deal of money completing the most ambitious such project ever undertaken, the Erie Canal linking New York City with Buffalo. There were a handful of other, smaller projects launched such as the Chesapeake & Ohio Canal, Schuylkill Canal, and the famous Delaware & Hudson Canal Company's operation. The latter eventually morphed until the Delaware & Hudson Railway but remained in service from 1823 until century's end, moving anthracite coal to New York and other points. With canal owners/operators carrying some leverage during this period, and New York hoping to recoup its expenses in the Erie Canal, early railroads struggled to gain funding and support for their particular endeavor. Among the port cities Baltimore took the lead, chartering America's first common-carrier, the Baltimore & Ohio, on February 28, 1827. The B&O opened its first segment in 1830 and before long several others were following in its footsteps. On December 25, 1830 the South Carolina Canal & Railroad Company carried its first trainload of passengers behind the 0-4-0, Best Friend of Charleston. The SCC&RR went on to become the largest system in the country when it opened a 136-mile route between Charleston and Hamburg in 1833. Canals tried their hardest to delay, curtail, or prohibit railroad construction. However, the advantages of the iron horse were simply too many. According to historian John Stover's book, "The Routledge Historical Atlas Of The American Railroads," trains, even loaded, could operate at speeds up to six times faster than the quickest canal boats (6 mph). In addition, they could run in all types of weather without issue of frozen waterways which shutdown canals for months at a time. During the industry's first three decades steel rails had reached Chicago and technology advanced to the point that a traveler could get there in just two days by 1860. Eastern rail traffic has traditionally been a short-haul game. As a result, railroads in this region were more susceptible than their western counterparts to failure in the postwar years, particularly during the 1970's. If you can locate a copy try to find the January, 2007 issue of Trains Magazine. Its feature story that month was entitled, "Great Railroading: State-By-State. From Coast-To-Coast...Which State Is The Greatest?" While that question can be debated the lengthy piece provided a wonderful overview of each state's earliest history with railroads through the present-day. All fifty are highlighted, including outliers Hawaii and Alaska. The former once carried a prolific network until the Great Tsunami of 1946 while the latter is home to the Alaska Railroad, a vital transportation service linking Seward with Fairbanks via Anchorage. When it comes to trains some states are known for certain things; Illinois is home to the railroad capital of America (Chicago); Texas for the Gulf Coast petroleum/petrochemical industry; California and Washington for seaports and agriculture; Minnesota/Michigan's Upper Peninsula for iron ore; and West Virginia and Wyoming for coal. From a general standpoint, let’s break down state operations into eastern and western sectors and commodities/traffic found within each. Obviously, railroads here started it all giving rise to classic names like the B&O, Chesapeake & Ohio, Pennsylvania, New York Central, Atlantic Coast Line, and Southern. It is the only region to contain magnificent stonework bridges such as Thomas Viaduct (Maryland), Rockville Bridge (Pennsylvania), and the Starrucca Viaduct (Pennsylvania). They were constructed during the mid-19th century before new materials such as iron, steel, and concrete came into widespread use. Many were so well-built they not only still stand but continue carrying rail traffic. The greatest concentration of tunnels can also be found in the east, the result of rugged mountain ranges like the Appalachians and Berkshires stretching from Georgia and Alabama to New England. This topography has resulted in lines featuring tight clearances, stiff grades, and sharp curves. One need only look at the Cincinnati, New Orleans & Texas Pacific Railway's main line between Cincinnati and Chattanooga or B&O’s now-abandoned main line through West Virginia to understand this. The former contained 105 bridges and 27 tunnels (totaling five miles in length) which dubbed it the "Rathole Division" under Southern Railway. The latter was the steepest and toughest eastern trunk line to the Midwest. 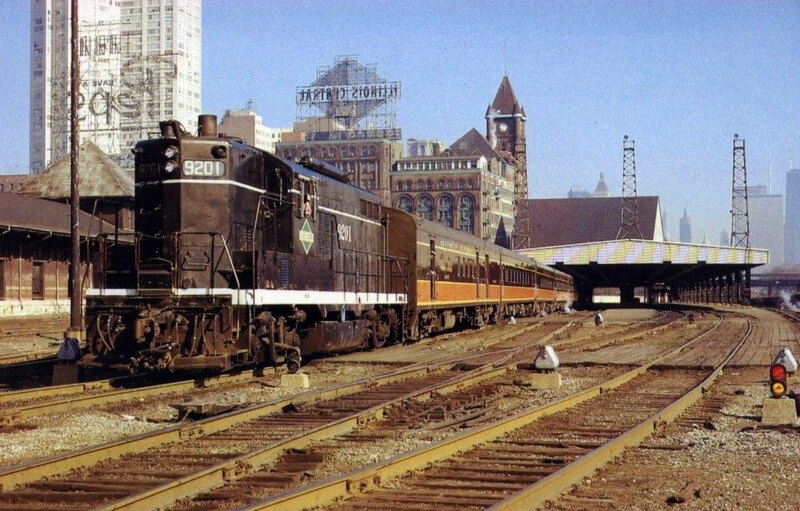 Much of the B&O's territory was single-tracked between Baltimore and St. Louis/Chicago as it battled stiff grades on the famed West End. It also dealt with the restricting "Parkersburg Branch," originally opened in 1857 between Clarksburg and Parkersburg, West Virginia by the Northwestern Virginia Railroad as part of what eventually became its St. Louis main line. According to the B&O's "Official List No. 29," dated January 1, 1948 this segment of the Monongah Division (Grafton - Parkersburg) totaled 103.4 miles and contained an impressive 22 tunnels. Despite the East's operational complexities the true problem presented itself as the 20th century progressed, short-haul traffic. This business is not particularly profitable for railroads and the eastern states contained many cities within only a few hours of each other such as New York, Boston, Philadelphia, and Baltimore. Further compounding the issue was the heavy concentration of railroads in this sector. The Midwest suffered a similar problem with "granger" systems like the Chicago & North Western, Milwaukee Road, and Rock Island proliferated across Wisconsin, Iowa, and Kansas all competing for agricultural traffic amid a blanket of branch lines. In addition, less-than-carload (LCL) traffic was once big business but had rapidly disappeared after World War II. 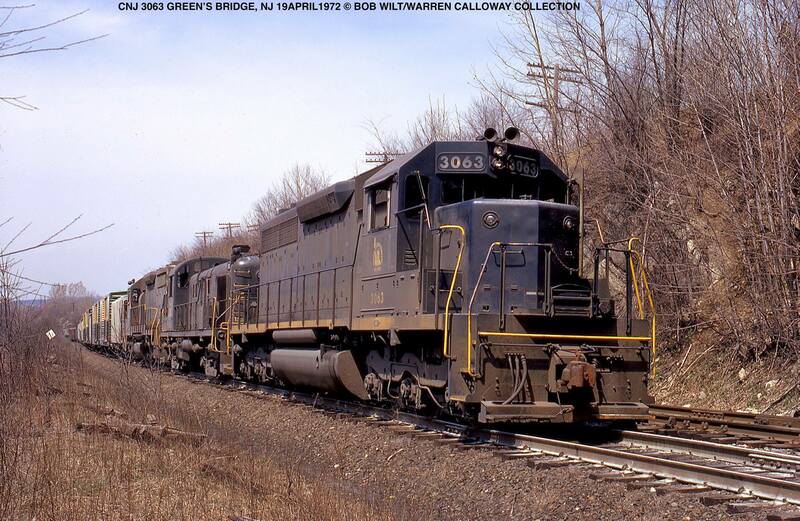 The two largest, Pennsylvania and New York Central, tried to achieve savings through merger but only deepened the crisis when the Penn Central Transportation Company was born on February 1, 1968. The railroad was losing more than $1 million a day when it failed on June 21, 1970 which brought down much of the Northeast. This transportation catastrophe resulted in action from Washington that led to the Consolidated Rail Corporation's (Conrail) formation to clean up the mess. The new system launched on April 1, 1976 and required five years, billions of dollars, much abandonment, and numerous layoffs to finally earn a profit in late 1981. Another reason for Conrail's turnaround was a focus on the growing intermodal/container business between New York/Boston and Chicago. Its success resulted in its buyout by CSX Transportation and Norfolk Southern in 1999. With major markets spaced further apart and a greater diversity of traffic the southern systems never suffered such a fate. The Southern Railway, Atlantic Coast Line, Seaboard Air Line, Norfolk & Western, and Louisville & Nashville were all profitable ventures when mergers began in the late 1960's. 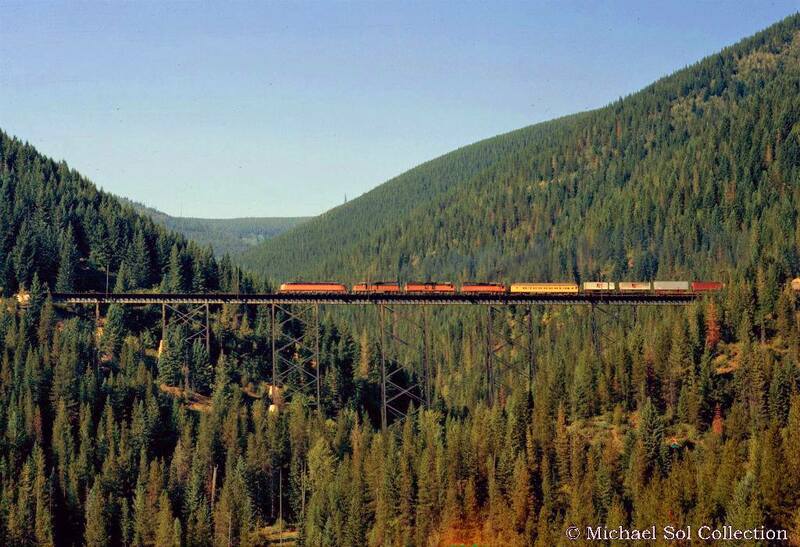 The western railroads are defined by beautiful, open, panoramic views, and long-haul freight. 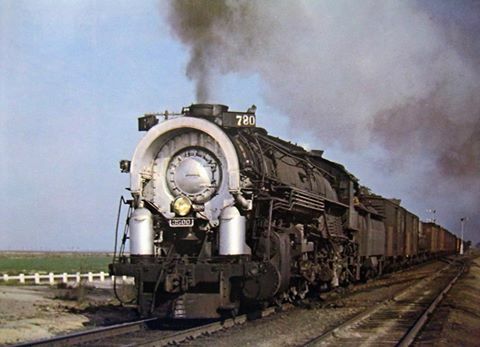 While such traffic pays the region's beauty sprang forth many popular streamliners like the City of Los Angeles, California Zephyr, Olympian Hiawatha, and Super Chief. Land west of the Mississippi River remained untamed until the 1850's when the iron horse could be heard across the parts of Illinois, Wisconsin, Iowa, and Missouri. Things really took off after the Transcontinental Railroad's opening in 1869. 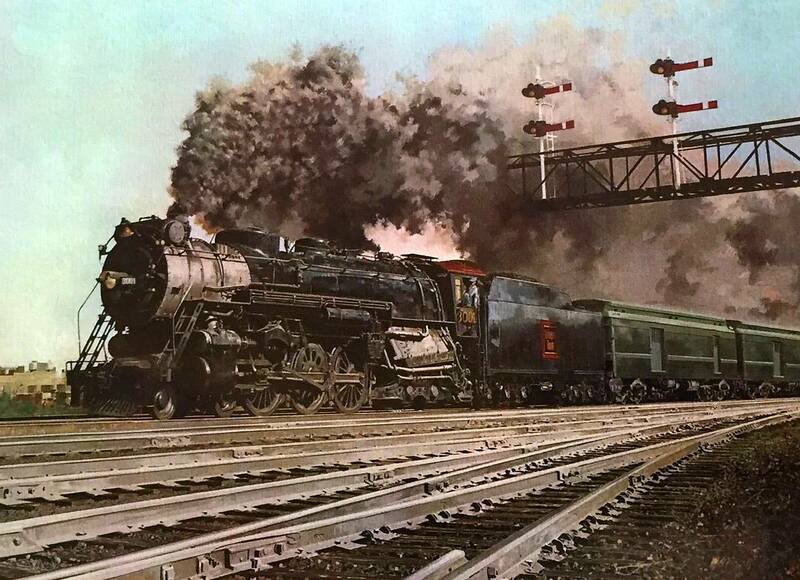 In the succeeding years several others completed similar endeavors including the Great Northern, Northern Pacific, Santa Fe, and Milwaukee Road. In the last forty years intermodal business from western ports and Powder River Basin coal from Wyoming have grown in importance for the nation's two largest railroads, Union Pacific and BNSF Railway. As previously mentioned, the ability of western railroads to ship traffic over long distances kept profits up and bankruptcies few during the tumultuous years of the 1960's and 1970's. Union Pacific was ultimately the only western survivor of the mega-merger movement. It purchased the Chicago & North Western, Missouri Pacific, Southern Pacific, Western Pacific, and Missouri-Kansas-Texas during the 1980's and 1990's. The Santa Fe and Burlington Northern merged in 1995 to form the Burlington Northern-Santa Fe Railroad, today's BNSF Railway.